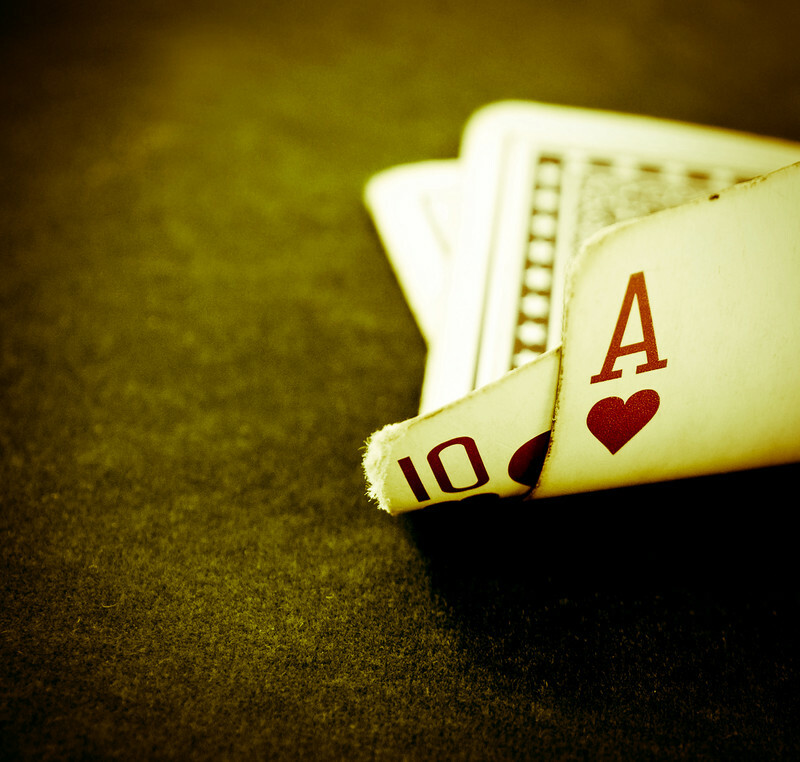 For many players, gambling is about that rush of adrenaline that comes from scoring a big win. And although not all will admit it, it can be about the thrill of losing too. As the financial investor Ed Seykota puts it 'Win or lose, everybody gets what they want out of [betting]. Some people seem to like to lose, so they win by losing money.' If betting is primarily about that wave of excitement that accompanies a win or a loss, there's probably very little that any money management tutorials can do for you. Just don't think about it too hard, and don't lose money you don't have, and you won't go too far wrong - the chips you lay down are simply the entrance fees for a night of entertainment. But why do people think this way? And why should it be relevant to those of us who are genuinely interested in betting sensibly? Hopefully, by the end of this page, you'll understand the psychological demons that cause many of us to gamble as we do. In our next instalment, we'll look at the implications of these demons, and why and how to out-think them. Rousseau famously wrote that 'Man is born free; and everywhere he is in chains'. Rich or poor, many of us would be tempted to agree with that sentiment. From the time we first slip into the world, through to perhaps our final days, we're forced to work within a system constructed by others. Our formative years are largely ones of receiving instructions and obeying commands, but even our adult/work-lives involve a constant succession of obligations and commitments, very few of which were actively subscribed to by ourselves. The appeal of gambling, for many, is that it's a rare occasion when we get to throw off our shackles. We can bet as much as we like on whatever we like. There are very few constraints placed upon us (besides the often rather loose rules of the game), and we can bet in almost any sequence, using virtually any system. Indeed, if we want to throw down our chips employing the most random sequence we can conjure up, then we can - in fact, for many gamblers, such an approach would be likely to achieve better results than their carefully-conceived and practised 'system'. Now, this largely explains why so many apparently rational people resemble the reckless gambler outlined in our opening paragraph. For many, gambling isn't about making money. It's about cutting loose from convention, constructing your own rules of action which don't have to be marked or corrected by family, or teachers, or bosses. Whether you make money or not, you're doing it your way, and that kicking away of the chains is, in itself, a huge rush. For many, then, this breaking-away will be the main objective, and the bigger the bets, the greater the highs, the more 'free' they feel. But then, there are also those of us who gamble because we really do want to succeed. And for us, the effect of gambling freedom remains highly significant. The problem with such freedom is that, all of a sudden, we have nobody to blame but ourselves. We're the ones who learn about the game, and who build up our own systems to help us navigate the shark-infested waters. We're no longer walking through a framework constructed by others. Now, whether we win or lose, we are responsible for our own fate. Of course, many will still respond by trying to palm off the blame onto somebody else. There's enough of that in a casino game like blackjack, where embittered players blame their latest misfortunes on a crooked house, a bent wheel, or a croupier on the take. In a betting medium like horse-racing, where there are far more factors at play, the blame-game takes on epic proportions, with jockeys, trainers and bookies supposedly lining up in a vicious conspiracy designed to part impoverished punters from their final pennies - not to mention the vast collection of unknowns and unfortunate accidents that can befall an animal on any given day. The truth is that we're the ones who do the research, and who create a system with an 'edge'. We decide when to bet, and how much to bet. If we can identify situations where the odds are in our favour, and stick to playing large sums only when those situations exist, we should make money. In many respects, that's easier to do with sports-betting, where we can choose to wade into the market only in those situations where we know we have an edge over the competition. If our system tells us that a horse has a 50% chance of winning, and should be on the market at a price of evens (or 1/1), we should be piling in where the said animal is available for 2/1. We value its chances of winning as being 50%, but the market credits it as only a 33% prospect. We can afford to be several percent out with our own calculations, and still be getting the horse at significant value. 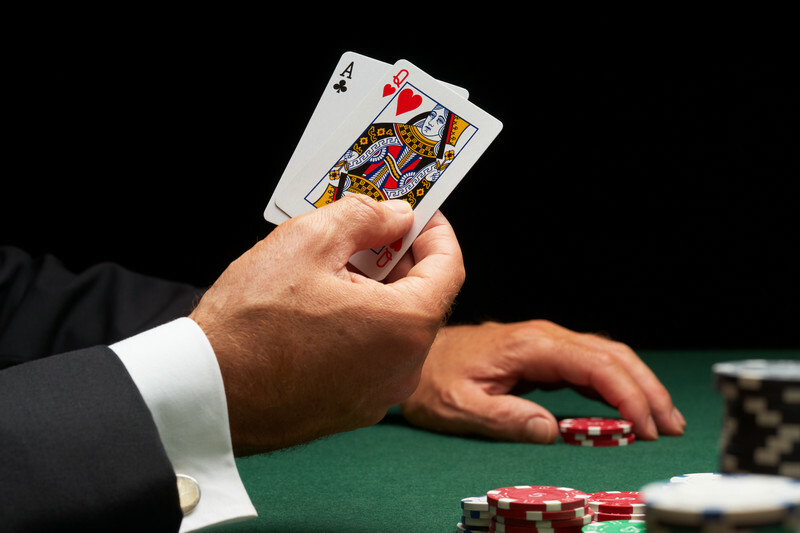 Clearly, in a table game like blackjack, it isn't quite so clear-cut - although the factors and chances of success are much easier to calculate. In truth, it's very hard to eke out an edge in blackjack, and using a card counting system will be one of the few routes open to us if we want to achieve long-term profits. Even here, we'll have questions asked if we hang around for long periods without playing bets, so simply waiting for a good situation to come along is far more difficult than it is in the largely faceless world of sports betting. However, with carefully concealed card counting combined with increased bet sizes when an edge is apparent, we can make money. And all of our success will be down to us. Except that, for the most-part, it won't be... Betting professionally means working to control the probabilities, but at the same time dealing with factors that are totally beyond our control. It's this random nature that often causes us such frustration. And learning how to accept it and work with it is the key to controlling our emotions. We'll tackl e this next.